General Hospital spoilers relate that Lulu Falconeri (Emme Rylan) says goodbye, Anna Devane (Finola Hughes) learns her sister’s a liar, and there’s plenty of Dawn of Day trouble. In case you missed the General Hospital spoilers, catch up with today’s General Hospital recap. Lulu goes looking for Maxie Jones (Kirsten Storms) to tell her friend about the trip she’s leaving on tomorrow and catches Maxie and Peter August (Wes Ramsey) kissing. She’s shocked, but keeps her mind on the task for the moment to deliver the news. They both need to know, after all. Maxie’s dismayed, but Peter assures Lulu her place at The Invader will be saved. Can we take a minute to deal with that name? Sounds like a tabloid someone laughs over as they wait in the check-out line. Anyway, Peter suggests that while Lulu is decompressing, she might want to write a book about her experiences to help get that all out. Maxie loves the idea, but Lulu’s not so sure at first. We’ll see if she goes through with that. Alexis Davis (Nancy Lee Grahn) corners Dr. Neil Byrne (Joe Flanagan) and asks for an impromptu session. When she’s met with resistance, she blurts out that her daughter’s in a cult. Now, she’s got his attention. Unfortunately, his advice to her is to do nothing. She wants to know what on earth she’s paying for. He explains that Kristina Davis (Lexi Aisworth) is an adult and trying to push will get her further in. He’s worked with families in this situation before, so he advises her to show Kristina pictures to remind her of good times, not get in her face, and to set things up to allow her to maybe see DoD from someone else’s perspective. He leaves Alexis to chew on all that, but not before writing out his bill on a napkin. Ha! 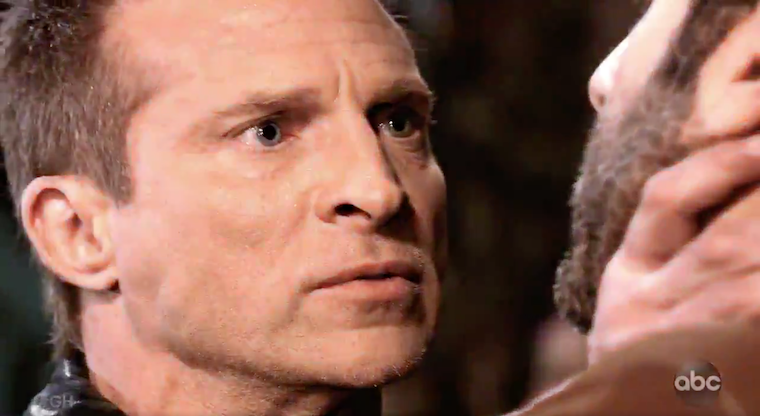 Sonny Corinthos (Maurice Bernard), for his part, is still frustrated, and Jason Morgan (Steve Burton) wants the kill order. Lucky for Shiloh (Coby Ryan MacLaughlin), Sonny is focusing on getting some other help with this. It looks like an even better option after learning from Sam McCall (Kelly Monaco) that DA Margaux Dawson (Elizabeth Henderickson) is a Shiloh follower. Not sure yet what Sonny’s other plan is, but it seems to involve a certain Dr. Neil. In other DoD news, Harmony (Inga Cadranel) is in town for the big night where Kristina will be officially welcomed into the Trust. Sam’s at the house and curious as to what’s going on, but no one is giving details. To learn more, she pretends to leave when Harmony asks Kristina to chat some before the big night. Once they’ve cleared the living area, Sam sneaks back in and enters the room that’s been prepared. She’s surprised to see that whatever is happening tonight involves a tattoo.